Vitamins & Minerals, as we are taught, are an “important part of our daily diet.” But what exactly does that mean? Is taking daily vitamins enough? How do we know what vitamins we need and how much? Is it better to get them through food? These are all questions I have had. Deficiency symptoms from lack of adequate and usable vitamins and minerals are more common than one may think. And many of these symptoms are related to Lyme disease. In fact, many Lyme patients are deficient in Magnesium which affects Calcium and Potassium absorption causing twitching and cramping. It is all very interrelated and difficult to pinpoint what exactly causes what symptom. Many Lyme patients have to remain on supplements long after treatment until homeostasis is restored. The symptoms of Vitamin deficiency are often related to the eyes, skin, hair, nails, and teeth. This tends to be the first place it shows up. It can obviously cause much more serious symptoms and damage if allowed to continue and worsen. To help determine if symptoms are due to Nutritional imbalances, I put together the Symptoms Checklists (see the Downloads section). If you suspect an allergy or deficiency, you can always have an allergy and/or vitamin test done to rule those out. You could also go to a nutritionist who can often help narrow down the possibilities of what to look for or adjust. I’d like to stress the importance of getting quality nutrients from quality foods. Taking a daily vitamin is not meant to replace fruits and vegetables and natural nutrients from whole foods. In fact, without eating the appropriate foods with your vitamins, you can’t absorb or use them anyway, so you are just taxing your kidneys and liver. If you eat a wide variety of quality foods, you will get most, if not all, of the vitamins, minerals, and nutrients you need to be healthy. If you are still experiencing symptoms, keep a Daily Log, and pay attention to what foods cause what symptoms. Sometimes it can be an allergy to a certain food. It could be environmental or chemical sensitivities. Or, it could be a deficiency or excess in vitamins or minerals. It could also be an excess of contaminant minerals (see Mind & Body and Heavy Metals & Parasites pages). There are 13 Essential Vitamins and 21 Essential Minerals that the human body requires for proper cell and organ function. Minerals are not created by the body and can only be attained through food or supplementation. Food is the obvious first choice. Supplementation would be used in the event of malabsorption or deficiency until the diet is adjusted and supplementation is no longer needed. At no time should supplementation replace food. Food Sources: fish oil; foods containing beta carotene/orange-yellow foods: carrots, pumpkin, yellow squash, Kale, Asparagus, beets, broccoli, peppers, apricots, cantaloupe, peaches. Note: ProVitamin A (Beta Carotene) is converted to Vitamin A in the body. Food Sources: dark green foods: asparagus, broccoli, brussel sprouts, spinach. Basic Function: Growth and repair of tissues, promotes eye health, required for production of antibodies, needed for red blood cell formation, important for fetal development. Can be used to treat Carpal Tunnel Syndrome. Basic Function: Important part of digestion, converts food to energy, produces hydrochloric acid; needed for DNA production in cells and nervous system function; lowers LDL (bad cholesterol) and raises HDL (good cholesterol). Food Sources: leafy greens, tomatoes, lean meat, shellfish. Basic Function: Adrenal hormone production, transmission of nerve impulses, production of hemoglobin, converts carbohydrates, fats, and proteins into energy; required for fatty acid and cholesterol synthesis, supports digestive function, assists the body in utilizing vitamins and minerals, needed for the formation of antibodies. Food Sources: leafy greens, winter squash, grapefruit, strawberries, sunflower seeds, shellfish, chicken, eggs, beef, pork. Basic Function: Immune function and production of antibodies; Processes amino acids, helps to break down fats and carbohydrates, regulates blood sugar levels, needed for protein metabolism; needed for hemoglobin and red blood cell formation, normal nerve and brain function, new cell formation. Food Sources: bananas, bell peppers, spinach, cabbage, leafy greens, carrots, cauliflower, broccoli, asparagus, garlic, nuts, lean meats, fish. Basic Function: Acts as a coenzyme during the metabolism of protein, fats, and carbohydrates, helps regulate blood sugar, needed for syntheses of fatty acids, assists in the utilization of other B vitamins. Food Sources: liver, carrots, leafy greens, tomatoes. Basic Function: Needed for proper DNA synthesis, normal growth and development of red blood cell formation, involved in production of dopamine and serotonin. Food Sources: Avocados, bananas, cantaloupe, citrus, root vegetables, squash, nuts, eggs, poultry, organ meats. Basic Function: Protein, carbohydrate, and fat metabolism, red blood cell formation, DNA production, healthy nerve function and brain health. Food Sources: dairy, eggs, lean meats, organ meats, shellfish. Basic Function: Immune function, antioxidant; synthesis of collagen: needed for healthy skin, teeth, gums, and bone development; helps expel toxins and heavy metals from the body. Food Sources: leafy greens and green vegetables. Basic Function: Maintains level of calcium in the blood, use of calcium and phosphorous; development of teeth and bones, builds bone density, stimulates production of insulin, protects against high blood pressure, regulates inflammatory responses. A little sun is GOOD for you! Food Sources: fish oil, salmon, tuna, shrimp, liver, sweet potatoes. Basic Function: Antioxidant, boosts immune function, protects lungs and skin, important for fertility and reproduction. Food Sources: nut and seed oils, nuts, leafy greens, green vegetables, olives. Basic Function: Regulates blood clot formation, needed for cartilage and bone formation, and maintains bone mass. Food Sources: Leafy green vegetables. Note: Synthetic Vitamin K (K3) and can be toxic. Vitamin K1 comes from natural food sources. Vitamin K2 is made in the small intestine. Basic Function: Vital for the formation of strong bones, cartilage, teeth, and muscles; regulates passage of nutrients across cell walls, regulates blood pressure and heart rate, needed for muscle contraction and relaxation, transmission of nerve impulses. Food Sources: Leafy greens, apricots, figs, prunes, citrus, papaya, many herbs and spices, sea vegetables, whole grains. Basic Function: Works with sodium and potassium to maintain proper distribution and pH of bodily fluids, contributes to digestion and waste elimination. Basic Function: Nerve and muscle function, maintenance of bones, helps the body absorb calcium and potassium. Food Sources: Leafy green vegetables, nuts and seeds. Basic Function: A key component of DNA and RNA synthesis; bones, teeth, tissue growth and repair; energy metabolism, nerve function; heart and kidney function. Food Sources: meat, eggs, beans, nuts, seeds, whole grains. Note: Toxic above 1g per day. Basic Function: Works with Sodium and Chloride to maintain fluid distribution and pH balance; regulates heartbeat and blood pressure; required for protein synthesis, carbohydrate metabolism, and insulin secretion by the pancreas. Food Sources: Leafy green vegetables, sweet potatoes, beet greens, oranges, beans, yogurt, tomatoes, dried herbs, avocados, apricots, prunes, dates, raisins cocoa powder, nuts, seeds, fish. Basic Function: Part of all bodily fluids. With Potassium and Chloride, it maintains fluid distribution and pH level. Essential for regulating muscle contractions and nerve transmissions. Note: Iodized salt is not a good source of Sodium. Basic Function: Part of every cell and tissue, part of amino acids, helps regulate blood sugar levels and blood clotting, disinfects the blood, stimulates bile secretion, and is needed for collagen production. Converts toxic substances such as aluminum, cadmium, lead, and mercury into a nontoxic form that can be excreted. Crucial for brain and neuro function. Food Sources: apples, carrots, grapes, spinach, cabbage, nuts, legumes, whole grains. Basic Function: Helps maintain blood sugar levels. Essential to fatty acid metabolism. Food Sources: apples, bananas, oranges, grapes, raw onions, broccoli, carrots, liver, lean meats, poultry, eggs, dairy, whole grains. Basic Function: Part of Vitamin B12. Helps form red blood cells and maintains nerve tissue. Food Sources: organ meats, shellfish, sea vegetables. Basic Function: Helps form hemoglobin, facilitates Iron absorption, regulates blood pressure and heart rate, strengthens blood vessels, bones, tendons, nerves, etc. 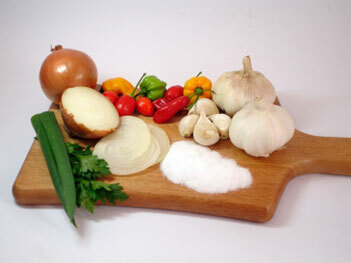 Food Sources: Seafood, organ meats, nuts, seeds, green vegetables, black pepper, cocoa. Basic Function: Helps form tooth enamel and protects teeth from decay. Note: Can be fatally poisonous. Basic Function: Part of thyroid hormones; influences nutrient metabolism, nerve and muscle function; nail, hair, skin, and tooth condition; physical and mental development. Food Sources: seafood and sea vegetables, vegetables grown in iodine rich soils, leafy green vegetables. Basic Function: part of hemoglobin, the protein in red blood cells that transports oxygen from the lungs to tissues throughout the body, strengthens immune function. Food Sources: “heme” iron: red meat, chicken, seafood; “nonheme” iron: dark green vegetables, nuts, dried fruit, whole grains. Basic Function: Needed to synthesize fatty acids and cholesterol, to metabolize carbohydrates and proteins, for energy production; Promotes utilization of other vitamins and minerals; formation and maintenance of cartilage, bone, and connective tissue, Protein and DNA synthesis, assists in normal blood clotting. Food Sources: Leafy green vegetables, sweet potatoes, carrots, asparagus, summer squash, seaweed, legumes, nuts, seeds, bananas, oranges, strawberries, whole grains. Basic Function: Promotes normal cell function; part of essential enzymes that are vital for carbohydrate metabolism, utilization of iron, sulfite detoxification, and the formation of uric acid. Food Sources: Green leafy vegetables, organ meats, whole grains and legumes. Basic Function: Aids in Iron absorption, adrenaline and glucose metabolism, improves bone strength. Food Sources: fruits and vegetables, legumes, nuts, cocoa, oatmeal. Basic Function: Stimulate metabolism, antioxidant, supports immune function, neutralizes toxic substances such as cadmium, mercury, and arsenic. Food Sources: Whole grains, asparagus, garlic, eggs, mushrooms, brazil nuts, lean meat, organ meats, seafood. Note: Toxic in small doses. Food Sources: fruits and vegetables, canned goods, soil, air. Basic Function: Cellular metabolism and the formation of bones and teeth. Food Sources: Nuts, root vegetables, whole grains, liver, fish. Basic Function: RNA and DNA synthesis, contributes to cell respiration, digestion, immune function, regulation of heart rate and blood pressure, bone development and growth. Food Sources: Lean meat, liver, seafood, raw oysters, mushrooms, eggs, legumes, nuts, seeds, herbs, vegetables, whole grains. These can often cause toxicity symptoms, organ failure, nerve damage, and some can lead to death. If any of these show significant levels, contact your doctor immediately. Vitamins and Minerals are meant to come from nature’s pantry…think Whole Foods.